SALISBURY, N.C. — Rowan-Cabarrus Community College, in conjunction with Duke Energy, recently hosted a Taste of Industry event showcasing the available trade career options through the College’s technical pathway programs. The event featured a panel of leaders from industry fields such as machinists, welders, and IT management. 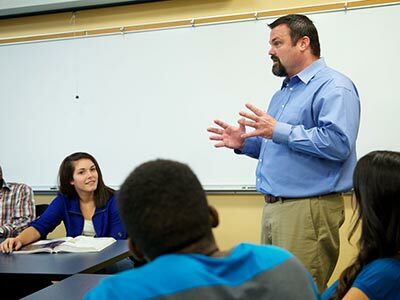 High school teachers, counselors and college instructors joined together to explore the vibrant career options within these different fields and industries that pay well and have excellent benefits. In addition to the great one-day event, the grant also allowed the College to purchase curriculum kits for each teacher in attendance. The kit was designed to be taken back to the classroom to implement what was learned from the event. The kit was comprised of calculators, calipers, a networking kit (raspberry pi), a poster, and a flash drive full of five complete lesson plans. The Duke Energy Foundation provides philanthropic support that addresses the needs within the communities of its customers. They offer more than $30 million annually in charitable gifts. The Duke Energy Foundation focuses on kindergarten to career education, particularly in areas of science, technology, engineering and math (STEM), early childhood literacy and workforce development. Workforce and economic growth is a primary area of Duke Energy’s philanthropic investment priorities. According to the U.S. Bureau of Labor Statistics current employment statistics summary, manufacturing employment increased by 22,000 in March 2018. Durable goods accounted for the majority, while fabricated metal products added 9,000 of those jobs. So far this year, manufacturing industries have added 74,000 jobs in the United States. The Taste of Industry panelists answered questions pertaining to job placement, salary expectancy, and additional employee benefits. During the question and answer session, high school teachers and counselors were enlightened about the current changes in today’s job market and what kinds of skills employers were looking for. Soft skills and desire to show up to work on time were the top requirements communicated. Today, manufacturers across the country are facing a skills gap between the technical skills their employees need and the skills they find in applicants. Rowan-Cabarrus is working diligently with manufacturers to do its part in addressing the gap that prohibits employers from filling these high-tech, high-wage jobs. The Duke Energy grant continues to help the College to further that mission. 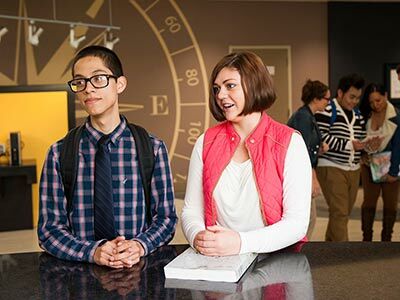 “The goal is to develop a college-going community; whether they attend to learn a skilled trade, obtain a degree or certification, or to advance in their current career. Rowan-Cabarrus offers the tools to provide the learning they need to progress further in life,” said Spalding. Thanks to another grant from the National Science Foundation, the College will be able to continue to offer this event for the next few years. Those interested in participating should contact Crystal Ryerson for more information (crystal.ryerson@rccc.edu, 704-216-3806).